Using well-crafted videos is an excellent way to expand your brand’s reach and increase overall online awareness. The single best metric to examine if your brand is a relatively small player in your industry is customer engagement metrics. Engagement metrics should be nothing new to digital marketers. Video engagement metrics come in the form of: number of video views, likes, shares, and comments, as well as the percentage of viewers who took these actions. Another important, often overlooked video engagement metric is viewer drop off rate. Looking at viewer drop off rates help you determine which sections of your videos are working and which parts could use some work. Each of these engagement metrics give us an overall indication of a video’s quality. Customer engagement stems from loyalty and a mutual understanding of a brand and its message. The key to achieving positive customer engagement numbers is simple: Encourage these interactions! And never forget to get the audience involved by speaking to them directly through the video. Videos don’t have to be just a standalone piece of content. They can bring in loads of qualified leads when done correctly. If the purpose of the your video marketing efforts is to gather more leads, then use creative ways to push video viewers to complete an action. You can use a video annotation at the beginning of a video pointing viewers towards an email opt-in form, or you can have a pop-up form show up after a video has been played in its entirety. You can also send people to a landing page, or even a different piece of content altogether, just make sure that if you do point customers towards a different website or video, that it increases the user experience and also somehow helps you attain your goal of gathering leads. The video metrics you want to monitor for lead generation are: number of viewers converted into leads per video and the percentage of those leads. Gathering leads through videos is a terrific way to better understand your target customer’s likes and habits. Creating detailed profiles of your audience through acquiring leads can help you tailor your video marketing efforts to better fit their needs and interests. But it’s not only important to monitor metrics focused on capturing leads, you also need concrete ways to measure the progress of leads who turn into paying customers. Sales are the lifeblood to a profitable business, so it’s important to measure the impact, positive or negative, videos have on turning viewers into customers. How quickly are video viewers turning into buyers? How much do their purchases contribute to quarterly and yearly revenue? Metrics you should monitor include: total number of leads acquired and converted into customers for each video. The average amount of time it takes to turn a video viewer into a sale. The average amount of revenue generated by a customer who was influenced by a particular video. Use these video metrics to your advantage by optimizing videos better tailored to your audience. Each essential video metric is vital to determining the successes or failures of individuals videos. Monitoring these metrics is also an excellent way to increase your total return on investment for video marketing. Monitoring metrics is tough work. 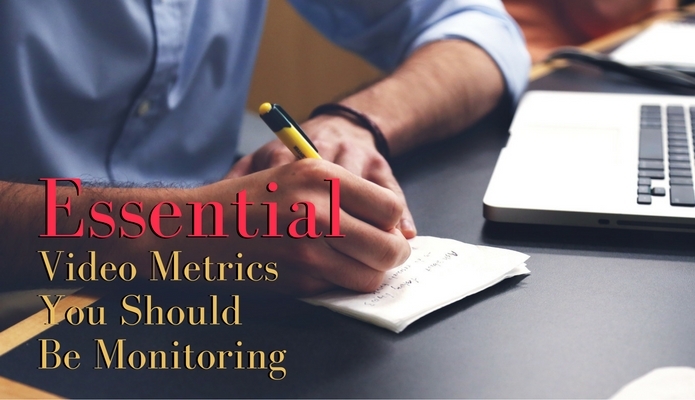 Not sure you’re following the right video metrics or have the right tools? Need some guidance on getting started? No problem! We’re here to make it easy! Start with a free consultation.